In Part 1 of the LinkedIn for Engineers series, I outlined how you can update your LinkedIn profile so that it is optimised for others to find you online. But simply having your profile sitting there doesn’t mean that people you want to connect with are going to find you and reach out. As I mentioned in the first post, LinkedIn is not just for job-seekers and recruiters. As a business owner or senior engineer, you can use LinkedIn to build your network, strengthen your brand positioning and get your business noticed by top quality talent and potential project partners. Start by connecting with your current contacts - your current colleagues, past colleagues, clients, business associates and fellow industry professionals. LinkedIn allows you to search through your email contacts directly so it’s easy to find people you already know. You can also use the search function to search for people by name or business. Request recommendations and endorsements from these people - the people who know you well and know your approach to business. These testimonials will give you great credibility when you go on to connect with others who don’t know you so well. Under the Helpful Links section, select Manage your recommendations. Follow the prompts to request the recommendation - you’ll see suggested text pop up (see below) but you can edit this as you like. You can also send recommendations directly from your profile, by clicking ‘Ask to be recommended’ from the recommendations box. connect with similar businesses overseas who could refer work to you? seek out potential employees for your business? up-skill or find professional development opportunities? promote your business to potential clients? attract writing, speaking or training opportunities? With this in mind, figure out the people or companies who would best help you achieve these goals and connect with them using the search function - you can filter your results to really narrow down the connections based on relationships, location and company etc. You don’t necessarily have to go straight to the top. Connect with employees of these companies, not just the decision-maker, particularly if they are in the same department. If the person who you really want to reach sees that you have connections in common, they are more likely to hit ‘accept’ when your friendly invite appears on their screen. It’s also a good ‘in’ by asking a mutual contact if they could help facilitate a direct introduction. One more thing - be careful about who you accept and send connections to. Only do so if you believe they have a reputable professional image. Remember your connections are pretty much public - I have heard of individuals providing endorsements to a connection they didn’t know well, then later realising that it’s someone that they wish they had no public association with. One of my pet hates is when someone unfamiliar sends an invitation to connect to me, but fails to personalise the message. Why should I connect with a complete stranger and open up access to them to my own network? Again, using the search bar (use the drop down menu to filter for groups) you can seek out groups that interest you or fit with your networking goals by searching for key words. Of course the only way that this is going to work for you is if you get involved. Watch the kind of conversations that are happening before you jump in. Once you have a feel for the group, join or initiate conversations, contribute to discussions and share informative and relevant links. Don’t forget to take a look at the kinds of groups that your target connections are members of so you have more chance of getting under their radar. You can also follow companies, not just individuals on LinkedIn. Search for those that you are interested in forming a professional relationship, or those that you already work with. Follow their updates and comment or share their posts where appropriate. If you’re looking for new talent or need to fill a specialist role, connecting with industry-specific recruiters online can be very helpful - particularly in a climate where engineers are in hot-demand all around the world. Work on building a relationship with them, so that if they have good candidates on their books they might contact you first before sending them off to interviews elsewhere. As mentioned above, a company page is another important part of building your profile online. Most engineering firms find that social networking sites such as Twitter and Facebook are completely irrelevant for their marketing efforts. LinkedIn on the other hand, provides the perfect audience. Use this page to post company information, news, project updates, white papers and blog posts. Go on the headhunt! You have a ready database of thousands of online CVs. Don’t miss out on great talent - find it before your competitors do. In particular keep an eye on profiles that are listed as ‘currently seeking new career opportunities’ or something similar. Like any social networking platform, LinkedIn has the potential to be your very own PR machine. Keep the personal posts for your Twitter account but get active on your LinkedIn profile page with your professional updates - post comments, interesting links, updates on what you’re working on, or ask others for specific connections. Remember, with all of the tips above, you’ve got to give to others if you are hoping to get something in return. Being active on your profile and proactive in connecting with others will ensure that you build a successful online presence. How active are you on your LinkedIn profile? 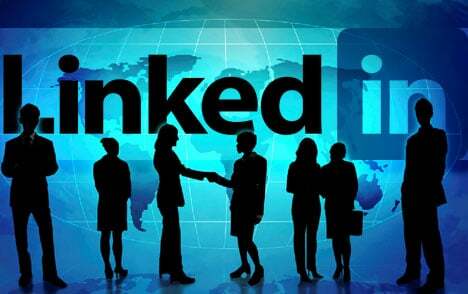 What steps will you take to use LinkedIn as an effective networking tool?